Dial-up remains essential to those who don't have access to broadband, or don't use the Net enough at home to justify the cost of it. But with more and more people switching to broadband, it was important to ask whether dial-up suppliers were committing enough resources to maintain the service levels of their narrowband offerings. So we asked dial-up subscribers about the reliability of their connections, the speed with which ISPs solve problems and their experience with telephone support lines. We also found that many dial-up subscribers use ISP's email services, so we considered this when calculating the results. 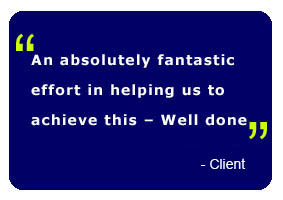 Our Client was the clear winner, receiving positive feedback in all of the key areas. The company offered the most reliable connection, according to PC Pro readers, and when problems did occur, customers were pleased with the ISP's effects to rectify them. 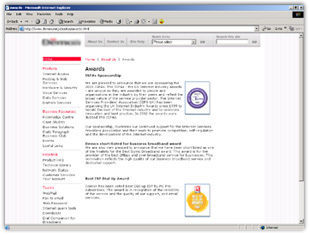 Virgin.net, which won the dial-up Awards in 2002 and 2003, also deserves a mention, with particularly impressive results in the 'problem solving' category, helping the company achieve second place.